Tim McConnell is lead pastor of First Pres Colorado Springs and author of Happy Church. There is nothing on earth to match the power of a thriving church. The forty day season leading up to Easter is not just about what you keep out of your life, but also what fills your life up. Open up the healthy inputs. Pastors have a difficult job, but they care for your soul. Be sure to stop and say Thank You. Don’t have an event. Use an event. Return to the “why.” Define the “win.” Build events to be used, not pulled off. This is a leadership responsibility and your people will thank you for it. Five reasons why the local church may be the most effective help for longterm relief in natural disaster. A church of any size can have a global impact. Every Sunday is “Move In Day” for someone at your church. Help them out. Character assassination can do damage, but character fascination can destroy people and kill organizations. The real gift of the church is not so much that we get to be pious together, but that we get to be sinners together forgiven by God. A guest post…A great passage of Dietrich Bonhoeffer. No Christian can endure without prayer. No church can thrive without prayer. It’s not that complicated—just do the thing! True worship is good for your soul. A people transformed by worship will make the world a better place. In all the heading out of the first weeks of summer, remember we are a people sent by God. We live as sent people. God has sent you to be where you are for a reason. The Royal Wedding is only a dim reflection of the true Royal Wedding of Jesus Christ with the simple church he loves. A passionate leader will feel spent. What’s your plan to refill? Don't forget to look for common ground. There is some. There always is some. Power and celebrity are necessary to leadership on a large scale. But without safeguards, a large platform is perilous. Victory is found in faithfulness. Easter Sunday--it doesn't give you advice. It declares an event. Christ died for you. Christ rose again. See where they laid him. The empty tomb bears witness. Billy Graham is an inspiration and witness to the power of courage and clarity. The clear presentation of the Gospel is still appreciated when the hearer is sure you love and care for them. Do we change everything in Sunday worship after a tragedy? What do our people and community expect? We are more than mourners when we gather. We are the citizens of the Kingdom rehearsing for the new order in Jesus Christ. Are you part of a happiness community? Everyone seeks happiness, but not all know where to find it. Church is a community rooted in the joy of the Lord. "Churches, just like you and me, can focus on the wrong things and lose joy and wonder. God―who is a joy-lover himself―has given us enormous blessings to make us glad! Tim has provided a wonderful tool for churches and leaders to learn to be a happy community glorifying God for all he has done for us." Tim is the lead pastor of First Presbyterian Church in Colorado Springs (ECO), a downtown church founded in 1872 currently reaching over 3,000 members. Serving Christ in ordained ministry since 1999, he has led churches and ministries in New Jersey, Virginia, Georgia, and Colorado. Tim served as a US Army Reserve chaplain, taught theology at the undergraduate and graduate level and led students in Christian fellowships at the Darden Business School and the Virginia School of Law before moving into pastoral leadership. He serves on the national Theological Task Force for his church. Tim is married to Abigail and they live in Colorado Springs with four children. 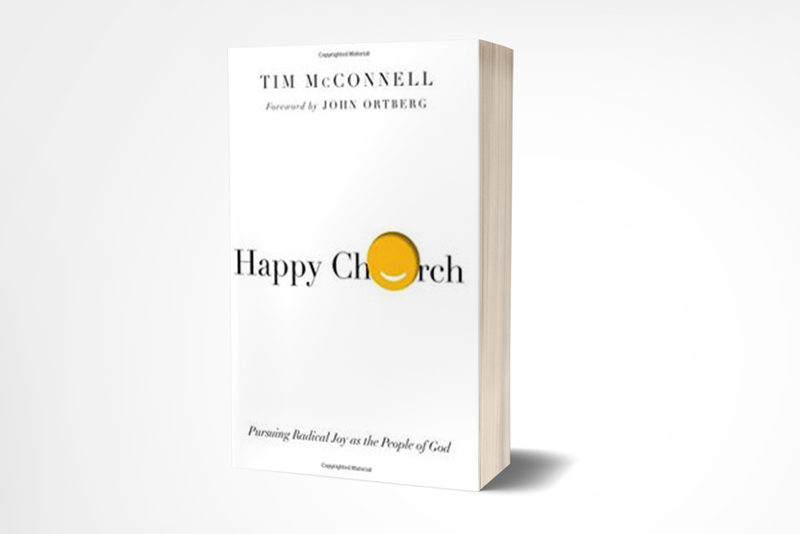 Tim is the author of Happy Church: Pursuing Radical Joy as the People of God (InterVarsity Press, 2016) and Illumination in Basil of Caesarea's Doctrine of the Holy Spirit (Fortress Press, 2014). To request having Tim speak at your church or conference click CONTACT above.